Euphemism for "There's more than one way to skin a cat"
Practice your English with Academy Island Game! You can embed it into your classroom wiki or Facebook group. Students can use it to apply what the have learnt. 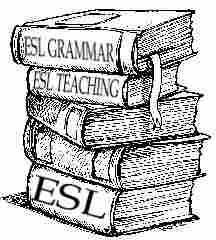 They can practice new vocabulary, grammatical rules, idioms and more. What do you think of it? Practice your English with Academy Island Game! reposted from Azhar's Reflections. 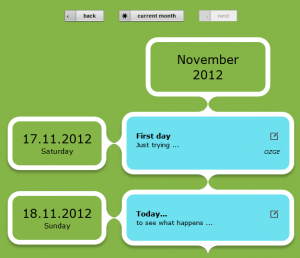 There are different tools to keep a diary online, but this one deserves to be introduced. MailDiary is a tool that lets you keep a journal online. You sign up for the tool by just writing your email and then you are in it. The best part about using this tool that you don’t need to go to the page to write a new entry. It mails you to remind that you need to write a new entry every day and you only write a response to that email and it is posted automatically. You can send as many emails as you want and they will be all be stored as new entries. You can add images to your entries as well. If you don’t know what to write, you can answer the question that MailDiary asks you. 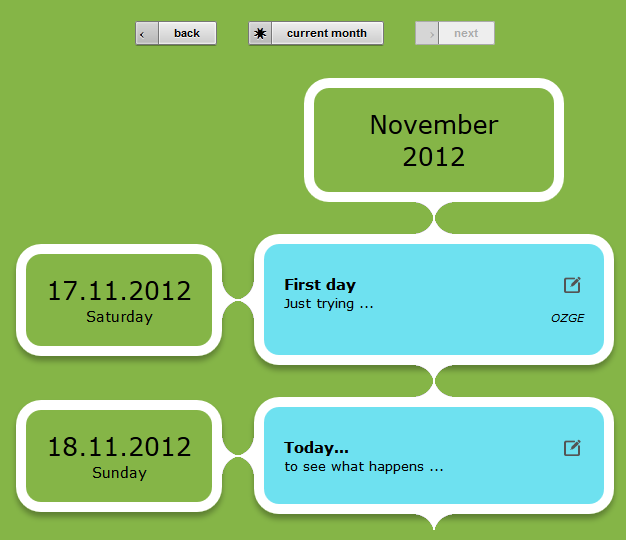 You can even write your own questions for each day. Students can keep a diary of their first week at school, then they can re-read this at the end of the school year.Students can keep a diary of a famous person, for a character in a story that you have been reading at class. Students can write a diary about a picture that you have sent to them.They come up with an imaginary day that they have lived. Start with something simple, ask children to write a few sentences about their days or ask them to summarize the day. Create a diary with different entries and ask questions to students to be answered. This tool is a great way for writing and reading activities for our students, and for us to keep notes of the thing that we do in our lessons and write our reflections. This online resource is designed for community college students and adult learners.